I used to love to visit my grandparents during the summer. That visit always meant that we would be outside on their front porch making homemade ice cream. Whether it was from working so hard to turn the crank and having the sweet reward or the fact that home made ice cream just taste better; it will always be a great summer memory. 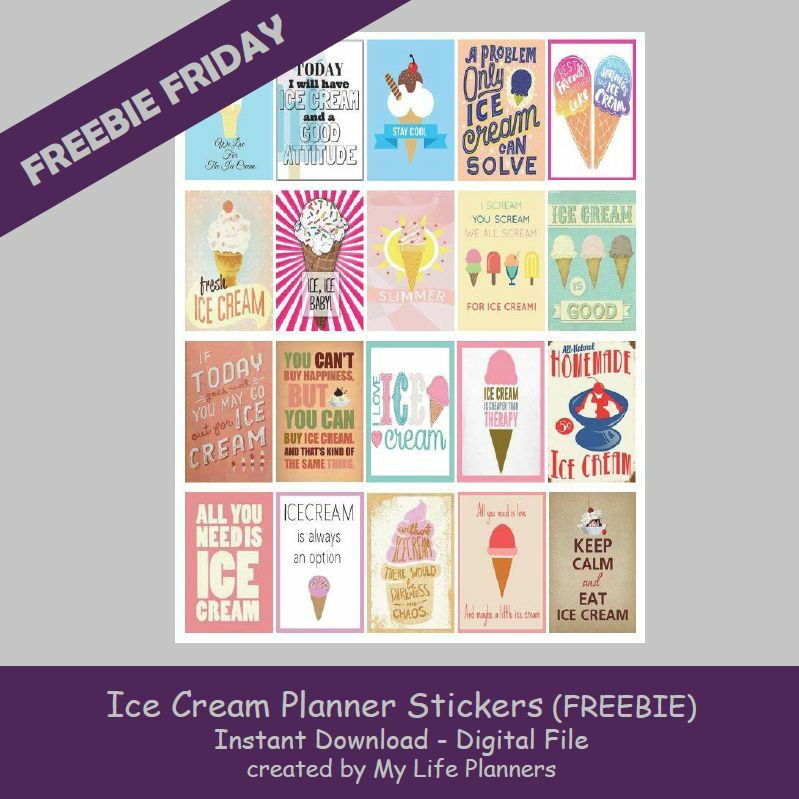 This week’s feature is that summer treat that tasted so sweet of Ice Cream Planner Quote Stickers. These won’t melt in your planner.